The champagne-like bubbles, distinctive hop bouquet, and balanced character of Liberty Ale revives centuries-old ale brewing traditions that are now more relevant than ever. First introduced in 1975, Liberty Ale is brewed strictly according to traditional craft brewing methods, and uses only natural ingredients — pale malted barley, fresh whole-cone Cascade hops and a special top-fermenting yeast, and water. 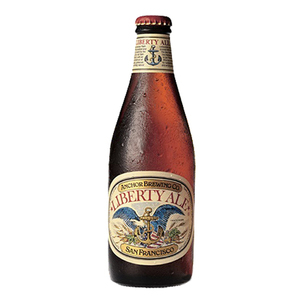 Liberty Ale was first brewed to celebrate the bicentennial of Paul Revere's historic ride. 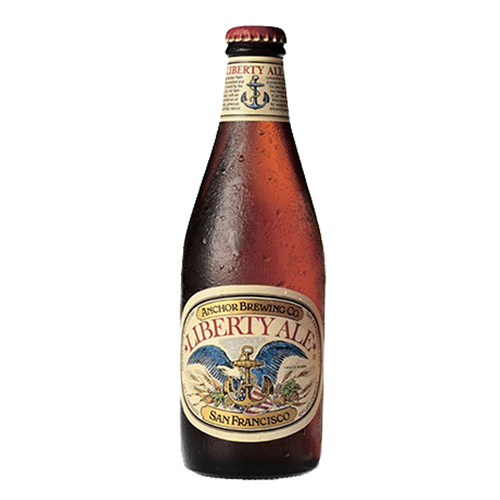 As the first modern American IPA brewed after prohibition and the first modern American single-hop ale and dry-hopped ale, Anchor's Liberty Ale is the original craft brewed ale and the historic beer that started a revolution.